These adapter spacers are billet turned high quality aluminium using Jaguar supplied wheel nut studs. The adapters are bolted to original hubs with high tensile nuts supplied. 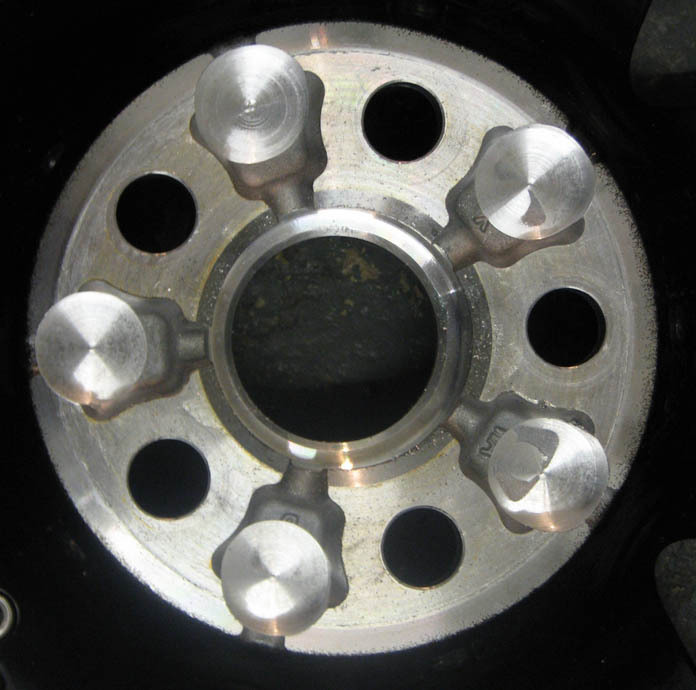 The wheels themselves also have to be modified to clear the adapter nuts as shown in the picture above on the right. The pocket on the reverse of the wheel has to be extended slightly to give adequate clearance. We can supply the spacers for £400 inclusive of all nuts and studs or for £500 we will also machine the wheels for you. 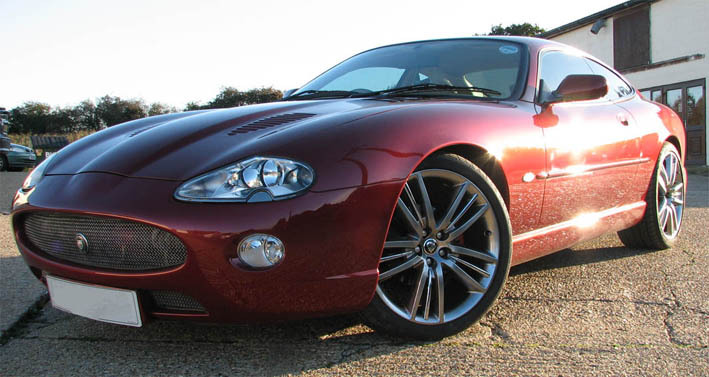 Above are a set of 20" Selena in 'shadow' finish as fitted to the XKRS (08/09). 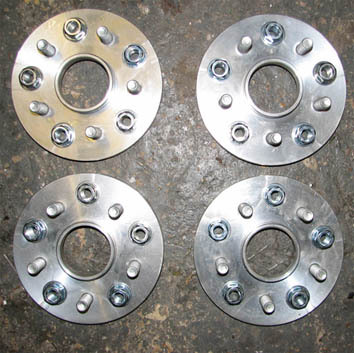 Any wheel with a 5 stud pattern can be used providing the offset is around the 30mm(Rear) 35mm (Front) or greater. This allows for the thickness of the wheel spacer and to keep the offset in its original position.